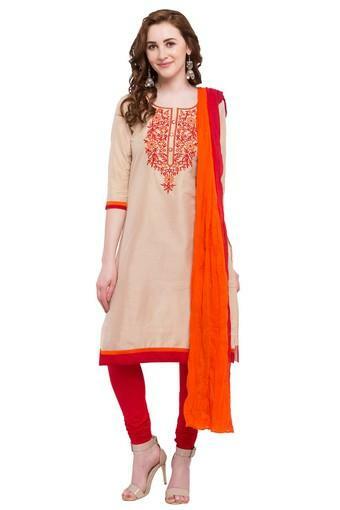 Speak the language of elegant fashion by wearing this churidar suit from the coveted brand, Stop. 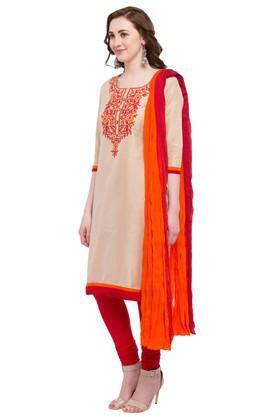 The kurta stands out as it comes with a resham embroidery work at the front. 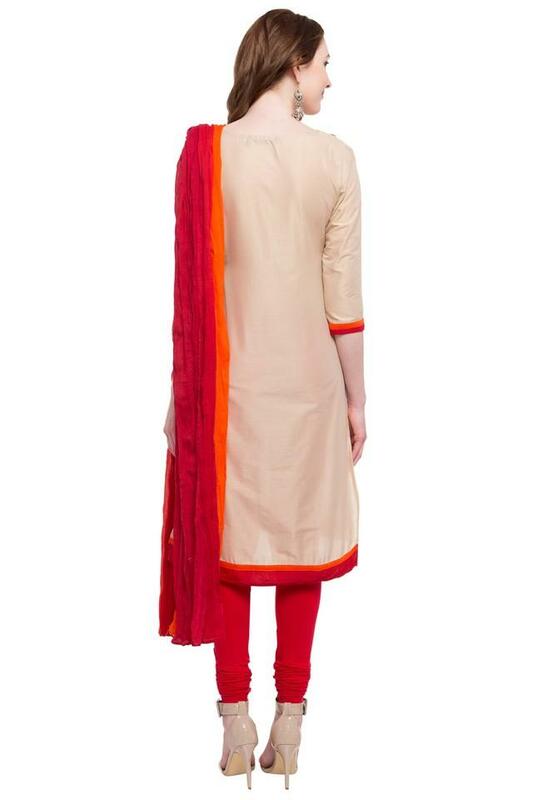 Besides, the ensemble promises to provide you with optimum comfort as it has been crafted from superior quality fabric. Make an appearance worth noticing by wearing this churidar suit for any casual occasion. Club it with your favourite pair of heeled sandals and carry a sling bag to complete your look.